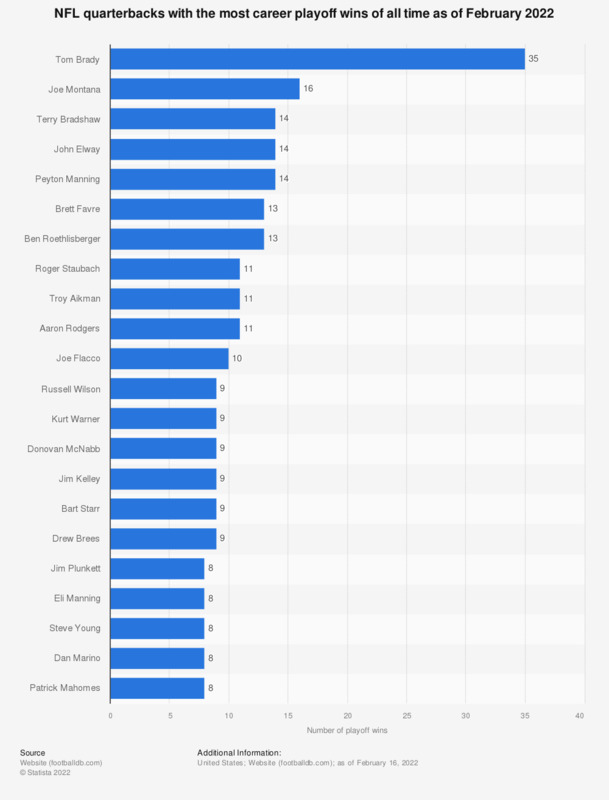 The statistic shows the NFL quarterbacks who have won the most playoff games in their careers, as of February 2019. Tom Brady has won the most playoff games during his career with 30 playoff wins. Are you more or less likely to recommend a product/service to a friend or family member if that product/service is an official sponsor of the NFL? Is it important to you to be aware of which companies are official sponsors of the NFL?